to set up a 1.3 Petaflop high-performance computing facility and data centre funded under the National Supercomputing Mission. The Mission envisages empowering India's national academic and R&D institutions spread by installing a vast supercomputing grid comprising of more than 70 high-performance computing facilities. Q. 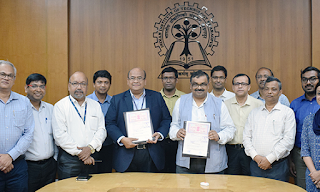 Which academic insititution has signed an MoU with Centre for Development of Advanced Computing (C-DAC) to set up a 1.3 Petaflop high-performance computing facility and data centre funded under the National Supercomputing Mission?